We start in the first at Doncaster (13:25) a Maiden over 5f. Just That Lord has been weak this morning drifting out from as low as [2.68] all the way out to a backable price of [3.7]. No form to go on, but considering trainer Bill Turner's excellent record in the race the drift doesn't fill you with confidence. Up against some expensive and well-bred rivals today we think it's worth taking on Just The Lord and recommend a lay at [3.7]. Next, we turn our attention to Meydan's 15:40. Last year's Irish Champions Stakes winner and the mighty Australia's conqueror The Grey Gatsby is being heavily backed, [5.0] in to [3.6]. The Kevin Ryan-trained colt went from strength to strength last season winning the French Derby and the Dante and the money suggest he will add to he's big race wins here. With the brilliant Ryan Moore on board we expect The Grey Gatsby to score today. 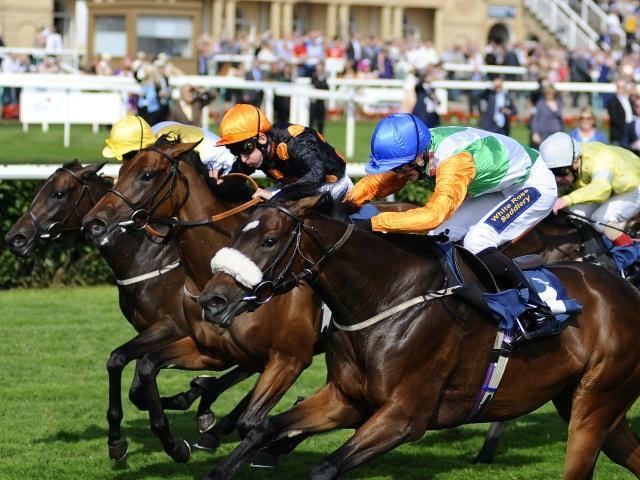 Our final selection runs at Doncaster in the first big handicap of the flat season. Marwan Koukash runs two in the Lincoln at 15:45. Gabrial's Kaka has been all the rage for antepost punters, however it's the owner's other runner Gabrial that has been well backed today. Matched as high as [19.5], Richard Fahey's gelding is now trading at [13.5]. The selection scored on his final start last season and he still looks well handicapped on some of his old form. Only beaten 1¼ lengths by the classy Mike De Kock-trained Vercingetorix off a mark of 109 in February last year, form which should put him bang on the premises. Drawn on the right side and with stable jockey Tony Hamilton doing the steering, backing Gabrial at [13.5] is the call.